It’s the beginning of a new year and we are all seeking to meet and connect with as many new students as possible. But in our busyness with freshman week activities and following up as many as we can, we can easily overlook the real influencers on campus. Steve Shadrach, Executive Director, Center for Mission Mobilization, in his ebook, Heart of the Campus: Ministry principles and strategies for focusing on student leaders, suggests that reaching leaders will actually help us have a greater impact on the campus, something we all long for. The Kindle version is available for free with a subscription to Campus Ministry Today. Shadrach says the campus has three types of students, the influencers (about 10%), the interested (about 60%), and the isolated (about 30%). I don’t think it’s a stretch to say the each context on campus has those same three groups. His point is that the campus ministry efforts of most organizations are directed toward the interested, while we often ignore the “heart of the campus”, the influencers. He offers 10 movement principles (pp. 13-20) in this brief booklet. I’ve listed each along with a brief excerpt for explanation. If you win the chief, you’ll win the tribe. “Isn’t it obvious that all groups have leaders (whether they are designated or not) and that these individuals have greater influence than the average person in that group?” Many when reached want help reaching their group. The core of the movement must be made up of influencers. “…at least five to ten students have to be influencers…These “relational networkers” are the magnets who attract other influencers, as well as the interested and isolated students, to the ministry. These key leaders become the glue that causes everyone to stick together and stay a part of the ministry. If the core is primarily interested or isolated students, then a movement will never get off the ground. They will struggle with: 1) relating to each other, 2) being able to initiate personal ministry, 3) attracting others to the movement, and 4) influencing the campus. Regardless of your ministry emphasis, I think you will find Heart of the Campus thought provoking and immediately practical. It is a quick read; one you can finish in an hour. But as you think about reaching your campuses this year, why not consider the influencers on your campus? Talking to those who intimidate. And a tip about Steve Shadrach’s book, The Fuel and The Flame, Keys to Establishing New Believers. This entry was posted in Discipleship, Evangelism, Leadership, Student Ownership, Thought-provoking on August 24, 2017 by Gilbert Kingsley. File this one away for when you give specific thought to the mindset of the students you’re reaching. It’s Lit: a guide to what teens think is cool is being passed around in some of our circles. It’s a Google magazine highlighting proprietary research into the mindset of Generation Z by the Brand Team for Consumer Apps at Google. While our high school staff might find this particularly pertinent, incoming freshmen on our college campuses are very much a part of Gen Z as well. If this stimulates your thinking, reading the source material also provides further insight. This entry was posted in Communication, High school students, Thought-provoking on May 7, 2017 by Gilbert Kingsley. You may have seen my recent post, “Did you know…?” Many of our leaders contributed to this list of information and resources. Many of those contributing sent enough info to make a worthy Coaching Tip. It was a shame to limit them to a sentence or two. Today’s tip is one such case. Thanks to the Destino distance coaching team of Chelsea Hengeveld, Erin Brasher, and Devin Tressler, I’m passing on some Destino evangelistic materials great for various contexts when engaging evangelistically over culture, race, and ethnicity. Soularium Culture Questions is one example that helps us enter conversations and bridge to the Gospel that isn’t just for Latinos. Another is an outreach called Colored Chalk. Destino envisions many of their resources, found at destino.org/resources, helping regardless of whether or not you’re launching Destino. Finally, this team has developed a basic semester long coaching plan for those beginning Destino movements that may give you ideas for coaching a start up. “Organic Church” by Neil Cole. “I Once Was Lost” by Don Everts and Doug Schaupp. “The Starfish and the Spider” by Brafman and Beckstrom. 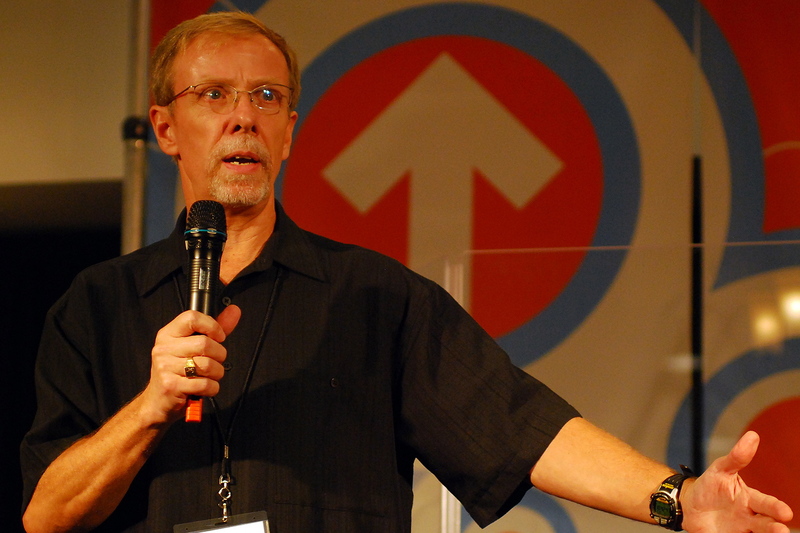 “Go, following Jesus to the ends of the earth.” by Dave Dishman. “God Space” by Doug Pollock. “A Cry of Hope, A Call to Action” by Charles Gilmer. This entry was posted in Coaching, Evangelism, Leadership, Thought-provoking on September 25, 2016 by Gilbert Kingsley. I have one more book to call attention to in this summer tip series. Outliers: The Story of Success, by Malcolm Gladwell is a fascinating look at both the intrinsic qualities, as well as the environmental opportunities that set high-achievers apart from the rest. While Outliers is a story about the best and brightest, it’s really more about the world we live in offering a “patchwork” of breaks, opportunities, and “arbitrary advantages”, and how some better avail themselves of those advantages. While Gladwell asks if our world could be different from the one we’ve settled for if we understood those arbitrary advantages, I think many of us have become painful aware that there are systemic concerns that mitigate against some being able to accomplish the vision God has given to them. At about eight or nine years of age, when players are getting into the sport, there is a key age cutoff of January 1. Those who are closest to that cutoff have a several month growth advantage over those born later in the year. At that age, those 6-12 months of growth make a huge difference. What Gladwell noticed was that the majority of the best high school players had birthdays in January and February. What’s more, in other sports and in other countries, elite players had birthdays during the first quarter after the cutoff. “A boy who turns ten on January 2, then, could be playing alongside someone who doesn’t turn ten until the end of the year—and at that age, in preadolescence, a twelve-month gap in age represents an enormous difference in physical maturity…coaches start to select players for the traveling “rep” squad—the all-star teams—at the age of nine or ten, and of course they are more likely to view as talented the bigger and more coordinated players, who have had the benefit of critical extra months of maturity…He gets better coaching, and his teammates are better, and he plays fifty or seventy-five games a season instead of twenty games a season like those left behind in the “house” league, and he practices twice as much…In the beginning, his advantage isn’t so much that he is inherently better but only that he is a little older. But by the age of thirteen or fourteen, with the benefit of better coaching and all that extra practice under his belt, he really is better…” p.24,25. Hockey is just a sport after all, but Gladwell observes that the same age advantage shows up in things of more consequence, like education. “The small initial advantage that the child born in the early part of the year…persists. It locks children into patterns of achievement and underachievement, encouragement and discouragement, that stretch on and on for years…” p.28. For the sake of time, and your continued attention!, I won’t go into his findings from Trends in International Math and Science Study. But they mirror those outlined above. The researchers concluded, “So, early on, if we look at young kids, in kindergarten and first grade, the teachers are confusing maturity with ability. And they put the older kids in the advanced stream, where they learn better skills; and the next year, because they are in the higher groups, they do even better; and the next year, the same thing happens, and they do even better again.” p.29. But I explain all of this to set up this question: Are there arbitrary criteria that we have front-loaded into our ministry, that unintentionally determine the trajectory of those who get involved? It might be an interesting exercise for our teams to consider. I can think of three areas in which this might be the case. Our language, processes, and environment are friendlier to those in the majority culture and, unfortunately, present challenges for those who are ethnic minority. Our ministry is effective for the traditional student and for the traditional way we train and develop leaders. But those who are entrepreneurial and enterprising, the pioneer going after new places, and those who look to minister to the marginalized, can feel marginalized themselves. For 24 years, I have done distance coaching. We absolutely need more high school and college distance coaches. There are far more leaders out there seeking our expertise and encouragement than our ministry is currently servicing. But is there something in our ministry that predetermines satisfaction meeting with a person over a cup of coffee at Starbucks than coaching a leader impacting their campus over Skype, and doing that again in multiple places? Our ministry values both “growing where we are” and “going where we aren’t”. Can we add to the personal satisfaction of impacting a life, the strategic-ness of multiplied touches over a distance? I hope you’ve enjoyed these synopses of books that aren’t our typical ministry textbooks. I have enjoyed sharing them with you. I will be taking a two-week break before starting another year of Coaching Tips August 8. Leadership Planning for Next Year. This entry was posted in Discipleship, Leadership, Thought-provoking on July 17, 2016 by Gilbert Kingsley.